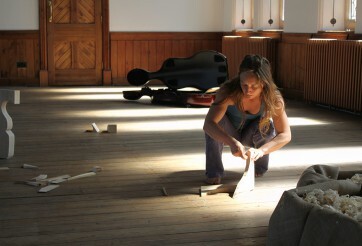 All this week until Saturday 4th July the Chapel presents ‘In audible: The Baroque Cello Project’ (part II). This is a free event and everyone is welcome. 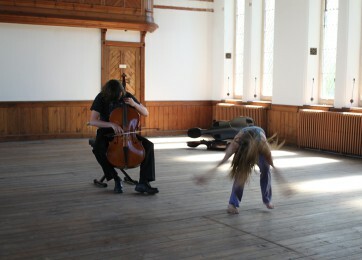 A collaboration between sound artist Leona Jones, baroque cellist Siôn Dafydd Dawson, and contemporary dancer Laura Moy. 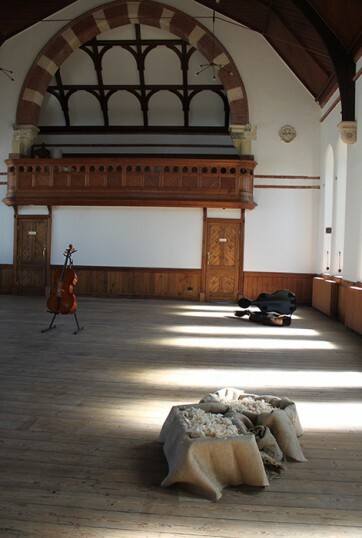 An experimental multi-layered site-specific sound installation with performances centred on luthier Adam Winskill’s newly crafted baroque cello and the sounds of its making. 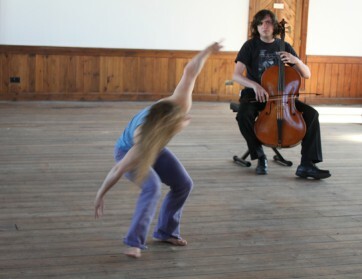 A unique arts project that melds the passion and excitement of highly contemporary performance with the precision and sensuality of Baroque period arts, and explores the complex relationship between sound, movement, silence and stillness. …with additional impromptu free performances throughout the week.